Cancer, at one time or another, will impact the lives of nearly every one of us. Although brain, lung, and colon cancer affect hundreds of thousands of people each year, resulting in far too many fatalities, breast cancer is the most common type of cancer in the United States today. This year, an estimated 255,000 new cases of breast cancer will be diagnosed. According to BreastCancer.org, about 12% of women will develop invasive breast cancer over the course of their lifetime. In addition to the thousands of women who will be diagnosed this year, 2,470 men are expected to be diagnosed with the disease in 2017. But there's hope: Recent study results indicate that proton therapy for breast cancer may be an effective form of treatment. "With proton therapy, the size of the radiation area is reduced significantly, lessening radiation exposure to the heart, lungs, and other parts of the body," says David Bush, MD, vice chairman of clinical affairs in the department of radiation medicine at Loma Linda University in California. "Proton beams allow us to do this better than any other type of radiation treatment." For the study, Bush and other university researchers monitored 100 patients who underwent proton therapy for breast cancer. The study looked at each patient's health for the five years following the end of the proton treatment. It found that the in-breast recurrence-free survival rate was about 97%. "This study confirms that proton therapy effectively eradicates tumors while also preserving the cosmetic appearance of the breast," Bush says. "Clearly this is very good news for breast cancer patients." In addition to the 97% survival rate reported in this study, survivors report that proton therapy preserves vitality. For example, restaurant manager and breast cancer survivor Kim Krause was able to keep working during her radiation therapy. According to Krause, "My journey started [in December 2016] when I was diagnosed with breast cancer at the age of 39. No one ever wants to hear that you have cancer, but I have been so lucky and blessed to have been diagnosed early, cared for by wonderful doctors, and given this amazing opportunity to have this treatment available to me. I was able to keep my regular work schedule and continue with my daily routines with very little side effects." Unlike traditional forms of radiation therapy, proton therapy uses a sharply focused "pencil beam" to avoid incidental radiation exposure to other vital organs. This can be especially beneficial for women with left-sided breast cancer, who often have tumors much closer to the heart. 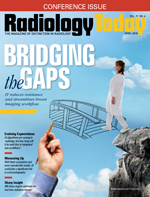 "We generate comparative dosimetry plans with IMRT [intensity-modulated radiation therapy], proton beam, and conformal radiation therapy to look at the dose delivered to the brachial plexus, lungs, and heart," says Scot Ackerman, MD, medical director of the Ackerman Cancer Center in Jacksonville, Florida. "We also look at homogeneity in the patients we want to treat. Frequently, proton therapy is the superior plan, with lower radiation dose to the heart and significantly lower dose to the lungs." Ackerman adds that proton therapy is generally considered the best breast cancer treatment option for patients who have unique anatomy, such as a woman whose heart is in close proximity to the chest wall. There are about 3 million people living in the United States today who have survived breast cancer. As better treatments become available, survivors will be able to live their lives cancer-free for many more years. Proton therapy offers an additional treatment option, especially for left-sided breast cancer patients. Currently, there are 25 centers in the United States dedicated solely to proton therapy treatment, with 19 other centers in various stages of proton therapy development. There are an additional 72 proton therapy treatment centers operating worldwide. Due to the growing popularity of proton therapy for breast cancer treatments, especially in the United States, this is one of the fastest-growing therapy treatments available. — Larisa Brass, MPH, is a career journalist, freelance writer, and 2014 graduate of Loma Linda University with a Master of Public Health degree. She is currently employed by Provision Healthcare in Knoxville, Tennessee.